Use Find Phone feature help you trying to see your missing device on a map or play a ringing sound. And you can use Lost Mode to lock, track, or remotely erase all of your personal information. "intruder" can take photos of the man who tried but failed to unlock the Android device (Only provide for Premium users). Ring: Ringing your phone in maximum volume to help you find it in the room. 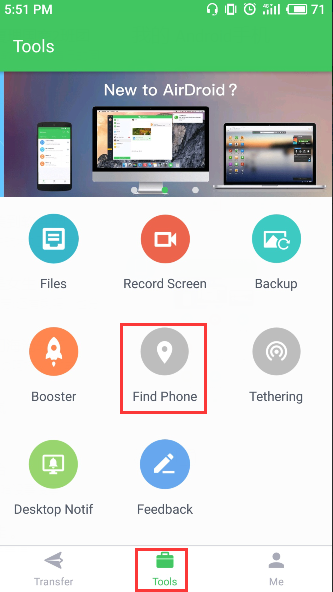 How to enable/disable Find Phone? Go to AirDroid app on Android, tap Find Phone, and turn it on as guide. You need to activate device administer to turn it on. To disable, tap TURN OFF in Find Phone and enter password. Why Do I need to activate device administrator to use Find Phone feature? Find Phone relies on some features provide by Android Device Administration API, e.g. Erase all data (allows you to erase all data when you cannot get your lost device back), Monitor screen-unlock attempts (allows you to take photos of the people who attempts to unlock your device but failed), etc. Failed to locate my device? 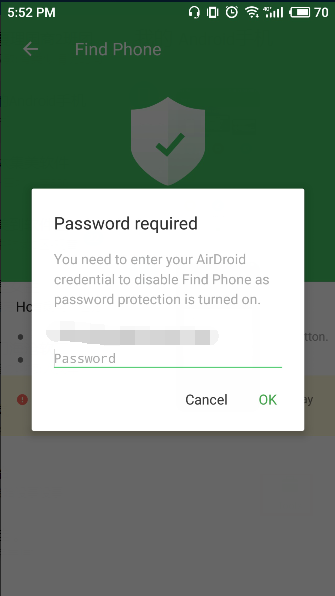 AirDroid cannot provide you with the location of your device? The location of your device is not correct? 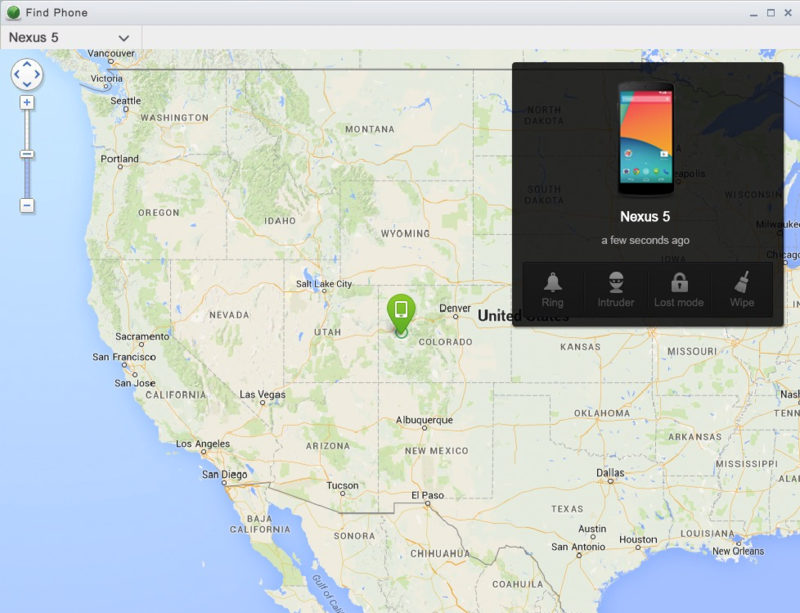 1. check if Google map is working normally on your Android device. 2. make sure that you have turned on access to my location, GPS satellites and Wi-Fi & mobile network location in Settings > Location access. Due to the fragmentation of Android, "Find Phone" might not work as expected on some Android devices. But our developers are working on this all the time and trying to make improvements on every update.